Pâques There are 8 products. These "Easter" thrifty shortbread cookies will look terrific on your Easter table. Or they do great as guest gifts. Medium size vanilla shortbread (65 mm) decorated with our marshmallow fondant, an exclusive house recipe. Easter chocolate shortbread cookies decorated with our delicious marshmallow fondant. 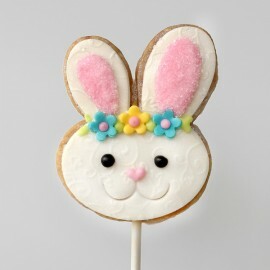 Just as tasty as they look, these gourmet Easter cookies will please everyone! 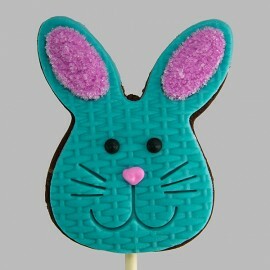 Easter's "Bunny Kitty" Shortbread Cookie on a stick decorated with our delicious marshmallow fondant. Just as tasty as it looks, this gourmet cookie will certainly bring magic, fun and wonder to your loved one. Doesn't this cookie remember you a kitty we all know? Wrapped in food grade cello and organza ribbon. Note: decoration may vary slightly. 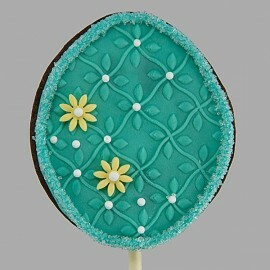 Easter egg shortbread cookie on a stick decorated with our delicious marshmallow fondant. Just as tasty as it looks, this gourmet cookie will certainly bring magic, fun and wonder to your loved one. Wrapped in food grade cello and organza ribbon. 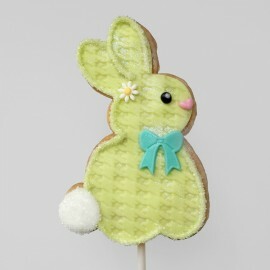 Easter Bunny shortbread cookie on a stick decorated with our delicious marshmallow fondant. Just as tasty as it looks, this gourmet cookie will certainly bring magic, fun and wonder to your loved one. Wrapped in food grade cello and organza ribbon. 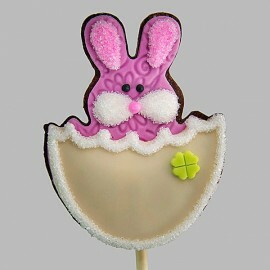 "Rabbit in the egg' Easter shortbread cookie on a stick decorated with our delicious marshmallow fondant. Just as tasty as it looks, this gourmet cookie will certainly bring magic, fun and wonder to your loved one. Wrapped in food grade cello and organza ribbon. 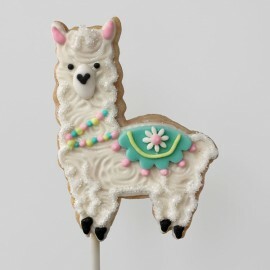 Easter lama shortbread on a stick decorated with our delicious marshmallow fondant. 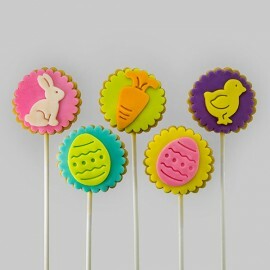 Just as tasty as they look, these gourmet cookies will certainly bring magic, fun and wonder to your little bunnies!